A new winter seasonal for this year, Juniper IPA is exactly as it sounds: An American IPA with the addition of Juniper berries to give some additional flavor. I like IPAs, and I like juniper, (well, I like gin anyway, which is the same thing as liking juniper) so what could go wrong? Not much, it turns out. This is a nice, classic IPA, and juniper gives it a bit of a west-coast piney twist and a bit of pepper. It’s pretty highly carbonated, which comes off as refreshing. The tasting notes on the bottle claim that the juniper adds “a slightly sweet, piney character” but I really don’t find any sweetness here at all, just pine and spice. To me, that’s not a bad thing, but this is definitely a hop forward beer, so it’s going to be closer to the wheelhouse for IPA fans than for those looking for a sweeter winter treat. There’s also a bit of citrus in the middle, some lemon and some oraange, as you’d expect from an IPA. 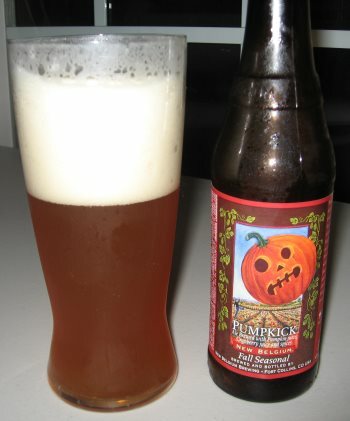 It has a medium to heavy body, but it’s pretty light on the alcohol at 5.8% ABV, so it’s an easy drinker. I’m really quite impressed with this brew. I think the folks at the Boston Beer Company have a hit with this one. 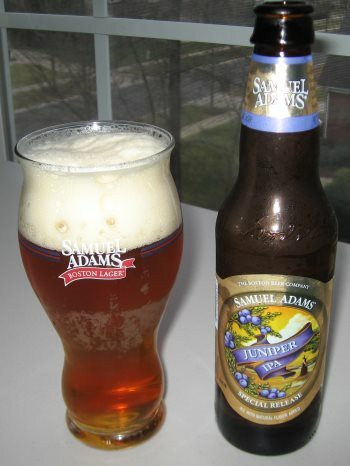 This entry was posted in Reviews and tagged American IPA, Boston Beer Company, IPA, Samuel Adams, Seasonal, Winter, Winter Seasonal on December 20, 2013 by Xander. An American classic. Old Rasputin is a Russian Imperial Stout from the master brewers of California’s North Coast Brewing Co. 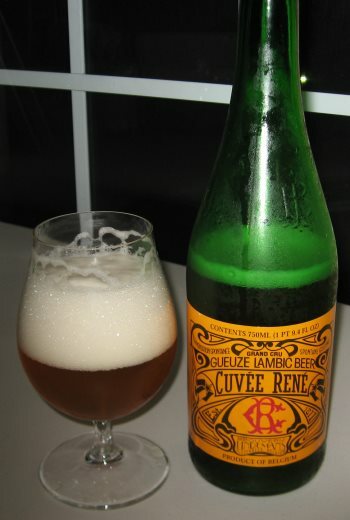 Widely recognized as a world class beer, this was one of the first craft beers I was introduced to, and it was instrumental in building my interest in the wide world of beers outside of the macros. The head is a heavy, sticky dark brown that reminds me of frothing motor oil. The beer is not quite pitch black, but close. Hold it up to a white light and you can see the tiniest hint of dark red luminescence. The nose is bready with coffee and chocolate. The middle is quite bitter and dry, with burnt coffee and cocoa in the fore. That transitions quickly into a sweet finish with chocolate syrup dominating. The body is medium to heavy, and the alcohol is a substantial presence at 9% ABV, though it doesn’t materially affect the flavor, perhaps just adding a bit of effervescence right at the tail end of the finish. This beer is a universally recognized timeless classic, and even if it isn’t your style, is a beer that every craft beer aficionado should try at least once so as to understand what makes up a truly exceptional Russian Imperial Stout. This entry was posted in Reviews and tagged California, North Coast, Russian Imperial Stout, Stout on December 17, 2013 by Xander. 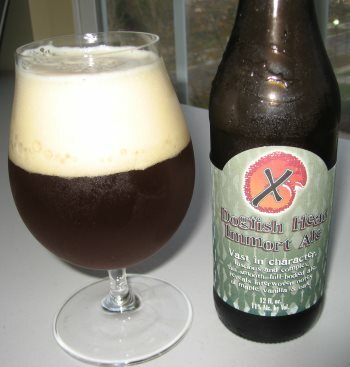 Immort Ale from Dogfish Head is a great big (11% ABV) oak-aged ale of indeterminate style. 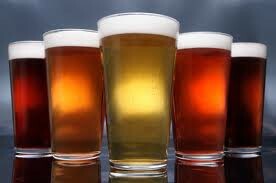 It uses English and Belgian yeast, so it’s somewhere between an English Strong Ale and a Belgian Strong Pale Ale. The notes off the nose are of honey, vanilla, and cherries. The middle is spicy with pepper, vanilla, and apricot, and a tiny hint of smoke from the peat-smoked barley. In the finish you taste the sugar from the maple syrup, and faint hints of the oak and just a little more peat. There’s no bitterness in this beer at all, and only the tiniest bit of acidity and booziness that you often get with oak-aged ales. This is a richer, and more subtle brew. This would be an excellent introduction to oak-aged beers for those who aren’t familiar, and fine winter treat for anyone. 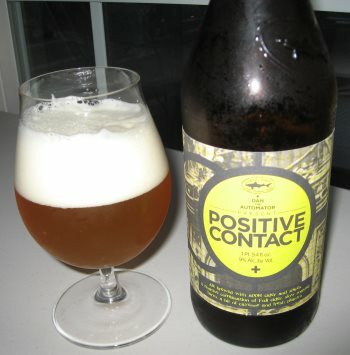 This entry was posted in Reviews and tagged Belgian Strong Pale Ale, Delaware, Dogfish Head, English Strong Ale, Oak Aged on December 6, 2013 by Xander.